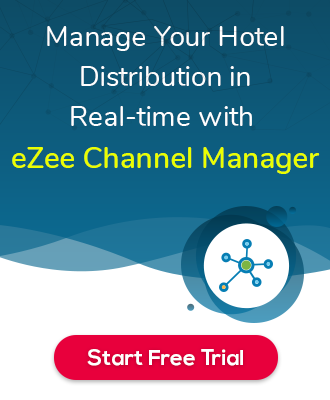 Bill amount is $76 and guest paid $100. Here, the cashier has to calculate the balance/refund amount. When enter the received $100, the system will give the refund amount /change due – $24. eZee Burrp >> Settings >> Peripherals >> Miscellaneous >> Hide Money Due on Full Settlement. Solution: Below are the steps to follow. 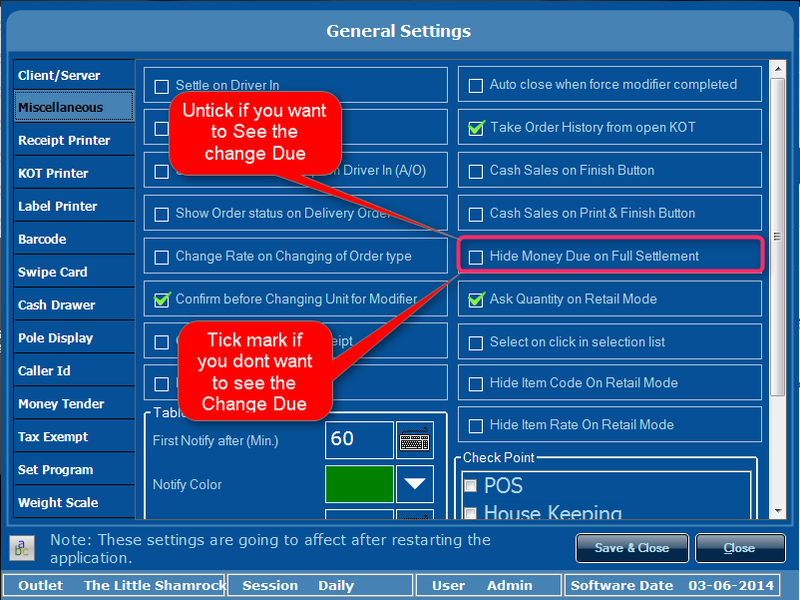 Step-2 : If step-1 will not work then cross check the change due option on settlement type in POS Back Office for all the defined Settlement type on which you want to see the change due pop up. 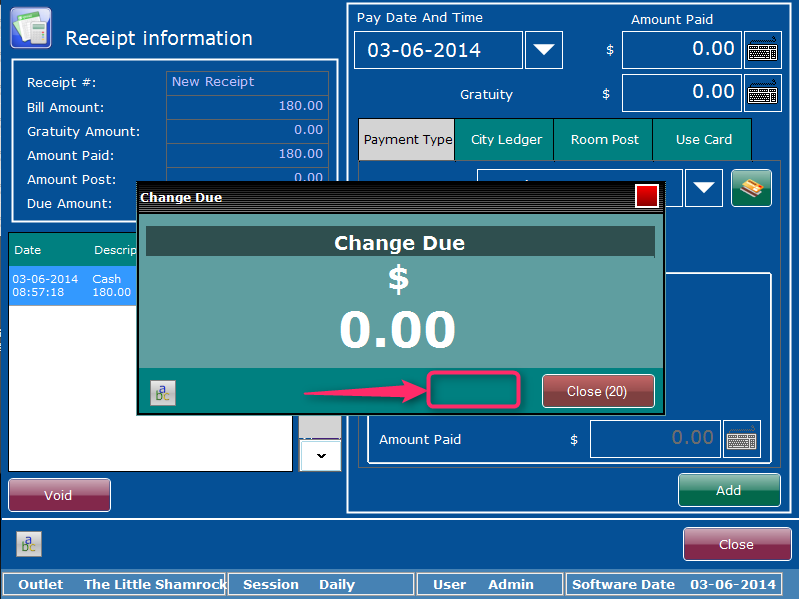 Step-3 : If you are not able to see the Print Receipt button on change Due Pop-up. 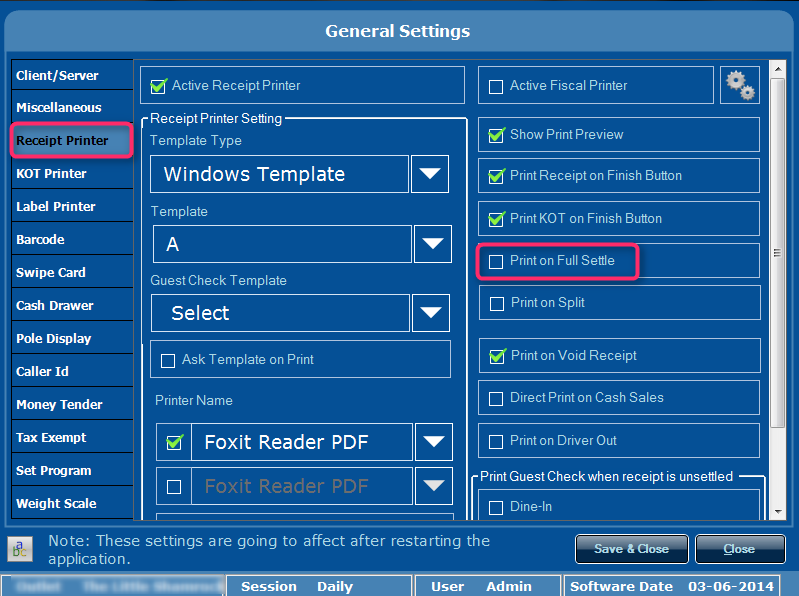 Then Uncheck the option “Print on full Settle”. You will be able to see the print receipt button like below.